2018 sees an exciting brand new line up including flautist Luke Phillips-Griffiths fresh from the Newcastle Folk Music circuit, and Alex Bishop – acclaimed folk guitarist and luthier, who both bring an exciting new direction and energy to the groups much loved sound. Busying themselves this year they have already toured France, Switzerland and Australia as well as busy summer festival season. They now are ready to embark on a UK tour this November this time travelling with the fantastic BBC Young Folk Nominees “The Drystones” as support. 08/11/2018 The Bodega, 23 Pelham St, Nottingham NG1 2ED. 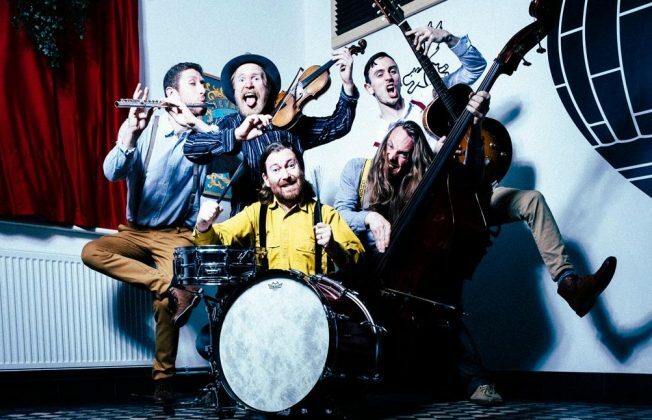 Original Jumping European Folk, plus support from The Drystones.